This lovely ornament features the powerful King Gesar surrounding by 13 wermas (13 guardian animals) of vibrant colors and detail. Display such Bejeweled King Gesar statue at home/office to enhance wealth luck as well as protect you from 13 kinds of dangers. King Gesar, riding on his windhorse and carrying weapone, is widely known as the God of Wealth in Chinese culture, and is often shown in luscious royal robes of prosperity, and wearing a crown of wealth. The King Gesar often holds flaming jewels and weapons to capture abundance, fortune, and wealth. 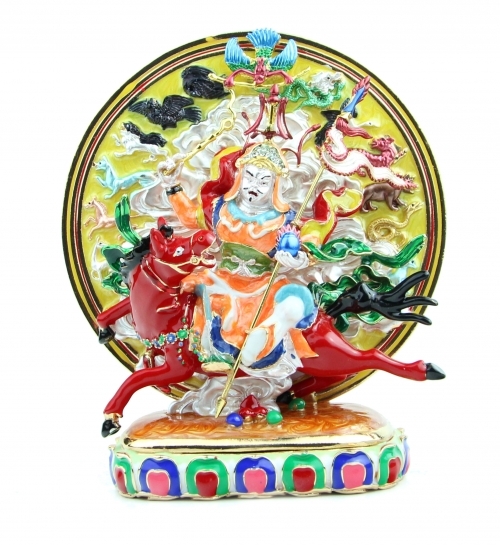 You can place the wealth Gesar on your home altar or on a high shelf to allow the king’s powerfully auspicious auras to travel throughout your home. 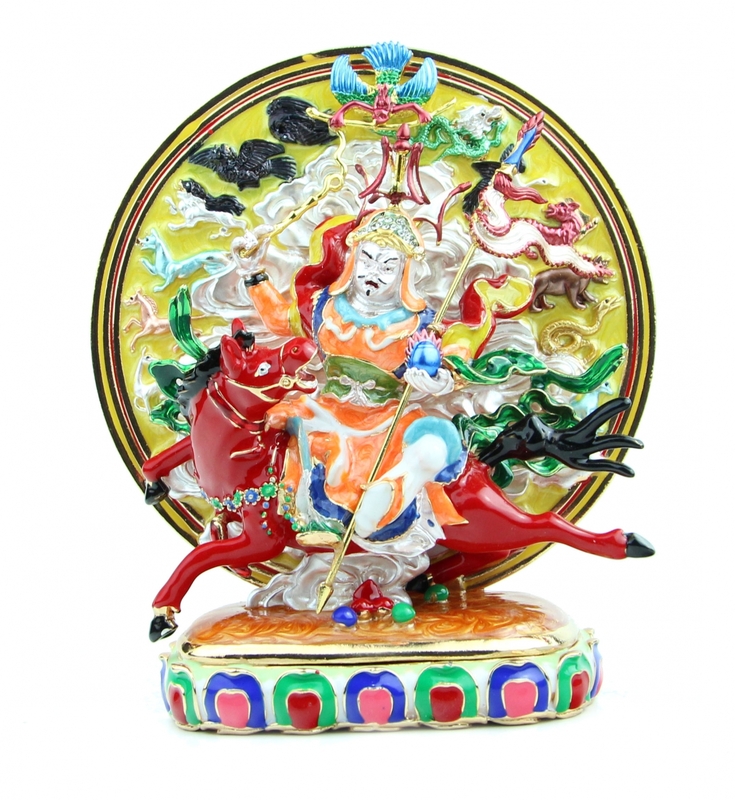 Placing King Gesar in your home or office to increases opportunities for success and fortune. The dimension of the statue of Bejeweled King Gesar with 13 Wermas is approx. 6.75" x 6" x 3". It is made of brass and heavy.